August 22, 2009 0 comments on "Cutting Shapes and Lines"
Cutting with scissors is a learned activity. By three years old your child should have no problem holding a pair of child-sized scissors. It takes them awhile to master this new skill, however, so be patient with them while they begin to show an interest in learning how to do it. Purchase your child a pair of his own scissors. 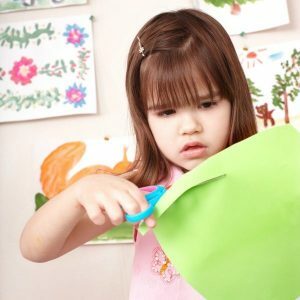 If your child is left-handed, make sure the scissors can be used by left- or right-handed children. Many scissors can be used by both. Let your child try to cut with the scissors, and encourage him to cut the best he can. It may take awhile for him to get the hang of it. My boys were four years old before they could hold a pair of scissors correctly and cut with them. 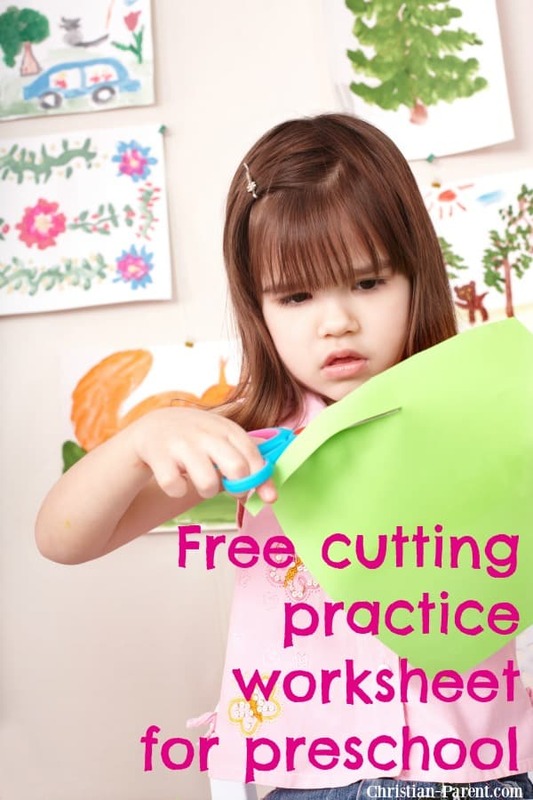 After your child has learned to cut with his scissors, it’s time to practice cutting shapes and lines. This activity helps your preschooler master his cutting skills so he can move on to cutting out shapes for his own craft projects. I have seen a positive change in the way preschools and daycare centers are running these days as they are now encouraging arts and crafts to bring out the creativity from within a child. Have your child start cutting lines. Simply use a ruler to draw several lines on a piece of paper, and then have your child try to cut on the line. It will probably take awhile for your child to get the hang of it, but after he catches on he will be so proud of his new accomplishment. After lines, he is ready to move on to wavy lines, then ovals, and, finally, circles. Preschoolers love this cutting activity. One of my sons spent at least an hour two days in a row cutting out shapes I had drawn for him. He was so excited he could cut on the lines that he wanted to cut them out over and over again. Another skill that can be practiced with this activity is tracing. Before your child cuts out the shapes, have him first trace them with a pencil. This is also a skill that takes time to learn and that your child will enjoy trying to master. Children enjoying learning things. Open up a whole new world for your child by teaching him something as simple as using a pair of scissors. Click here to download a free worksheet of pre-made lines and shapes your preschooler can use to practice using scissors. Follow my preschool activities, board on Pinterest.